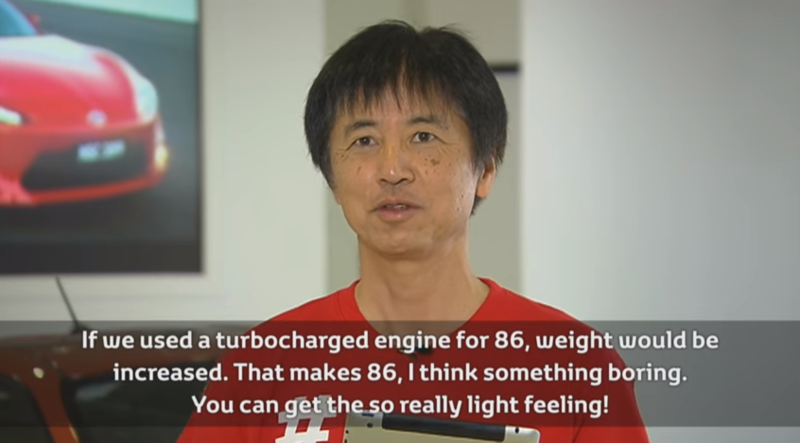 Wanna Know Why Toyobaru Won’t Turbocharge The 86/BRZ? 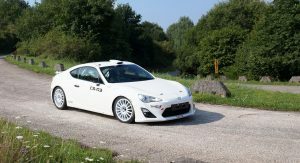 There have been several reports concerning a turbocharged version of the Toyota 86 / Subaru BRZ since they were launched, as the coupe felt underpowered and its chassis could clearly handle more oomph. However, it’s pretty clear that such a model won’t happen, given that both cars have been in production since 2012 pretty much unchanged. So, do you want to know why they won’t make one? Because it would require a new platform in order for the execs to be satisfied with it. 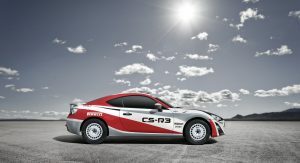 “If we come up with a turbo version of the 86 and boost up the power that would result in the necessity of changing the basic configuration completely, to come up with a car I would be satisfied with”, Tetsuya Tada, chief engineer for the 86 and new-gen Supra told CarAdvice in Geneva. 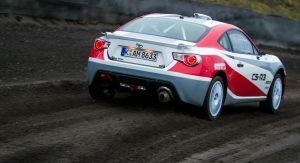 “It’s not about just changing or slight modification in the engine parts”, added Tata, explaining that the weight distribution would be severely affected if the 86/BRZ was turbocharged. 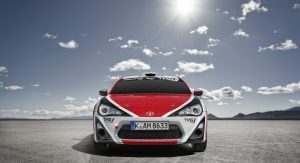 Thus, both the Toyota 86 and Subaru BRZ, which are basically the same car with different logos, will continue to be offered with the naturally-aspirated 2.0-liter four-cylinder engine for as long as the two companies decide to keep them in production. 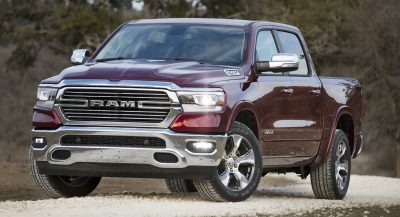 Nevertheless, the stock powertrain has lots of tuning potential, and we’re aware of a few turbocharged versions, including one that lifts the output to an impressive 450 horsepower. The most impressive project that’s based on a Toyota 86 is Ryan Tuerck’s machine. 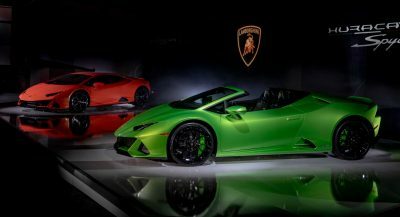 It uses the naturally-aspirated 4.5-liter V8 engine of the Ferrari 458 Italia, which has turned the compact Japanese sports car into a true weapon. Can’t say I’m totally convinced. I just read a whole horse ton of #$! * from some Asian Wizard named Ta-Da. I have an idea, how about you TaDa a magical turbo on this pile and then go shut it!!!! Well, if you don’t upvote your own comment, nobody will. Not sure anybody else could make hide nor hair of it. I got it and I agree that Toyota is full of crap. The guy who pout the Ferrari engine in the car is all the proof you need. Mr. “Ta-Da” is making excuses for not creating a car that could handle more HP in the first place. And then trying to justify that with even more bull. Just call me Mr upvote if you like. Heck, I even upvoted you. And I’m fairly certain Hillary voted for herself as well. So…. I agree. 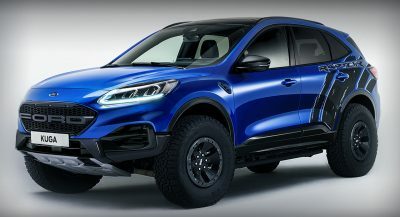 Especially when we have a Subaru exec commenting about adding more HP to the Cross-trek. To paraphrase–why should we when it is selling so well? That seems to be the mantra of many within the Toyota/Subaru complex…and Subbie is now controlled by Toyota. There have been many conversions (LS, etc.) and power upgrades by individuals to this chassis. No one seems to be complaining of handling issues. Bla bla bla bla bla whatever. If you want this car with a v6 delivering a lot more power, pay an extra couple grand and buy a 370z. There, fixed! I like the 370Z, but it doesn’t offer anywhere near the same neutral balance of the GT-86, not to mention the 400 lbs. difference. I hear ya…. To each their own. For me though, the Z offers an overall more complete sports car experience for 10 or 15% more MSRP. I mean, where’s the thrill of hitting the twisties if you’re struggling for acceleration. Same here. I love the 370Z myself, so if it were my money, I’d probably choose a slightly used example over a new 86. I call BS, Toyota don’t want competition from within for the soon to be released Supra. And as far as Subaru goes, they don’t want to take away from their much loved WRX performance car, which is pretty much their halo car. Exactly. Basically if you want more power, get the Supra or WRX. Posting these quotes borders on cruel. LOL. He said adding a turbo would = boring. I say he’s boring!!!! Does this fool have a clue??? They could but they won’t. They could bore the engine out to a 2.2L. That would gain at least an extra 25HP. And you wouldn’t have to mess with the size. Just upgrade brakes-suspension and trans. I bet you’d barely add 30lbs. Here’s what I think. 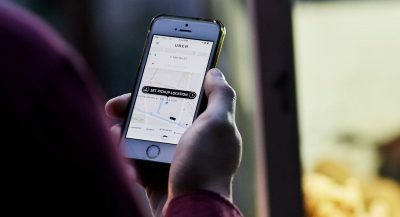 They won’t do it because it could cannibalize the sales of both the upcoming Supra and Subaru’s WRX STI. If they went for around 300hp then it will be very close to the WRX STI’s performance but with less weight and it might even be nipping on the heels of the Supra. It all depends on how much power the Supra actually comes with. Clearly they want to keep their entry level sport cars and their halo models as far apart as possible. 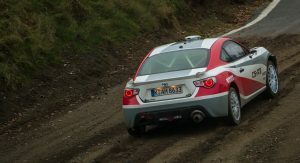 In Subaru’s case, they need to do something with their halo model because it can’t even beat hot hatches. It’s supposed to be a rally car for the road. I bet even the old Lancer Evos are still faster than it. The car has 4 seats. Are they not aware that having 1-3 passengers also changes the balance–usually significantly more than a bit of turbo plumbing would? This car could have been great (I personally think it looks great), instead, it’s just okay at what it is. Maybe next time around they will give the people what they have been asking for all along instead of an underpowered rig on Prius tires. When you have got to make an excuse to satisfy marketing, any bull pat will do. Thats because it was never “balanced” from the start. It was nose-heavy and adding more weight in the form of turbo plumbing or otherwise would make it even more nose-heavy. If BMW can achieve 50-50 with even its sedans, etc., why couldn’t these purpose-built sports coupes? Also, there are ways to shift weight rearwards but I’d imagine the price point of the twin coupes would reach heights that would make both companies uncomfortable. 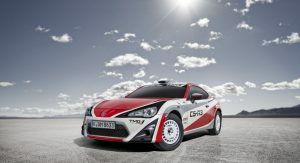 I totally agree with the explaination about canibalizing the sales of other model but I always suspect Toyota did not want to spend more R&D to 86 because that car has tiny profit margin and adding turbo engine means factory tooling has too be prepared and not to mention aftersales such as spare parts. 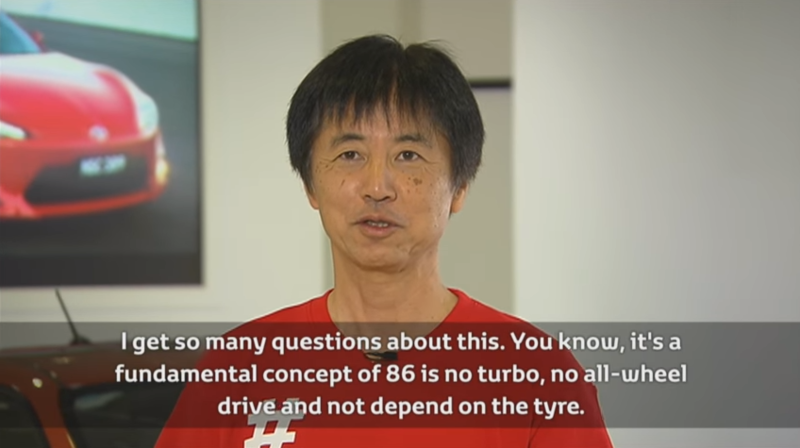 he says adding turbos might end up extra weighted and unbalanced car, but hey it is 2018,welcome to 21st century. Bull, Truth is nobody knows why Toyota does what they do, not even Toyota. They are about to put out a Supra with a BMW chassis and a BMW engine apparently, which makes no sense whatsoever. If you can’t fit a turbocharger in this chassis efficiently, how about a supercharger? How about a more powerful naturally aspirated version of the current engine by doing something easy like stroking it? Toyota has no answers for these questions, the people in top management know doubt have their reasons, but they will never tell anybody because those reasons are undoubtedly ridiculous. Toyota still has more money than God, and they just sit on it. They should be producing the most advanced sports car in the world, something comparable to the Nissan GTR, but they don’t, for reasons only they understand. So Nissan and other performance carmakers will go on the eating their lunch, and they don’t care. Toyota has two car divisions, with no top tier performance car. That is unacceptable, and don’t look for the new BMW made Supra to change that. I think we can all agree the issue was going to Subaru for the engine. If they would of gone to Yamaha like the LFA and 2ZZGE it would of been an amazing engine! Also, if they would of shipped it without the torque dip, the power issues would of been far less obvious. I mean look at the Miata with “only” 155hp in the highest trim level. Only an idiot who doesn’t know anything about cars or about this car would agree with that. Without the engine this car doesn’t happen, without Subaru Toyota never produces this car. The car is designed around the engine. The engine design was that of NA. The new supra will have reportedly an even lower center of gravity than the 86. My thing is why not bring in Yamaha to work their magic on the Boxer. It would of been probably the best engine Subie ever made. Subaru’s modern engines are rather anemic without a turbo. Toyota could of easily done that, or just a good new high revving 4 cyl. made by Yamaha. 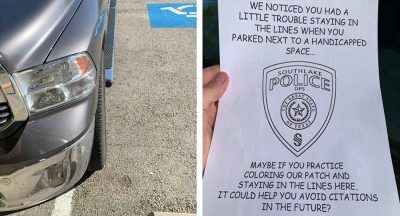 Yeah, they won’t do that. They’ll make tweaks to the brakes and chassis though and charge extra for it. Well, at least Subaru will. Previous PostPrevious Watch Man Try To Stop Driver Fleeing Crash With A Sledgehammer!